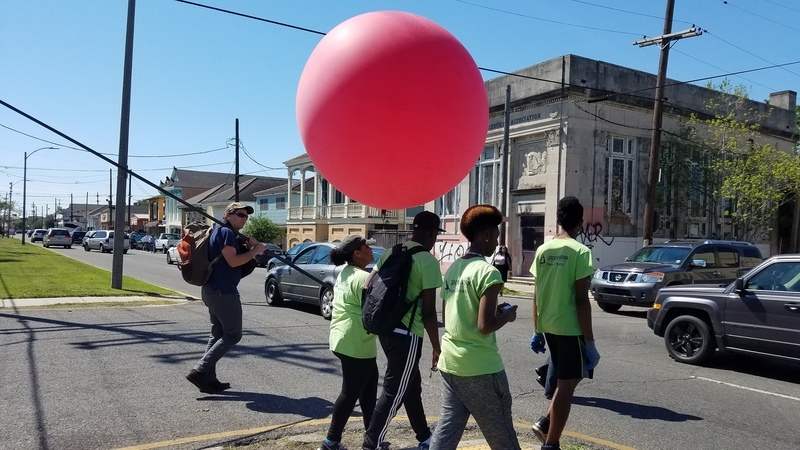 Here in New Orleans, we've been involved in the larger conversation with the Public Lab community about water quality monitoring. Over the past few years we've hosted builds, and discussions, we've explored water monitoring methods, and worked out in the field. One thing we started to notice was that the tools and monitoring methods themselves were in the driver's seat on a lot of these activities. We wanted to flip our attention, and refocus on the local issue to driving our exploration. 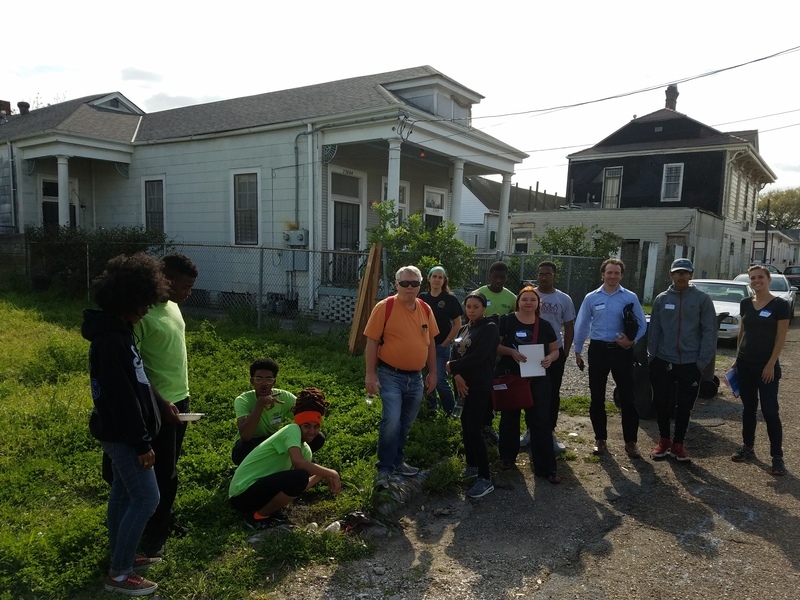 So in March, we along with I See Change, Grounwork New Orleans and Water Works started a new workshop series and looked explicitly to our backyard, and to our own unique questions, to drive our exploration forward. 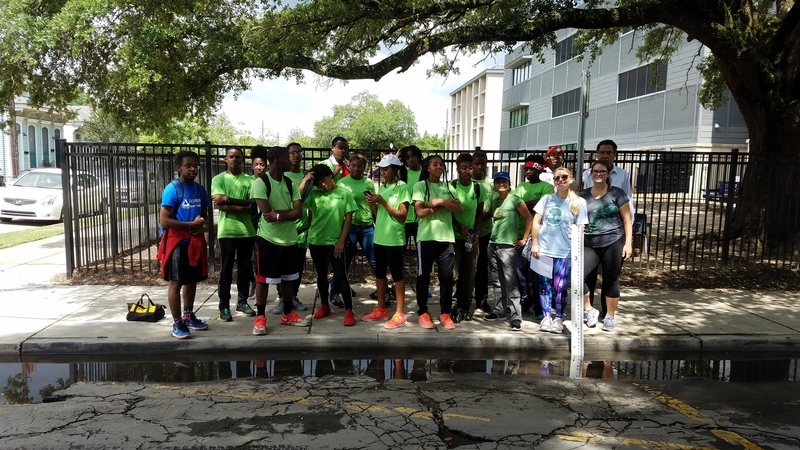 We also want to thank New Orleans Sewerage and Water Board, Ripple Effect, and Emerging Philanthropists of New Orleans for their support of the workshop series. In this series we started by picking locations of stormwater interest and thinking specifically about those locations. Within three blocks of our workshop location, we found three site of diverse stormwater interest. 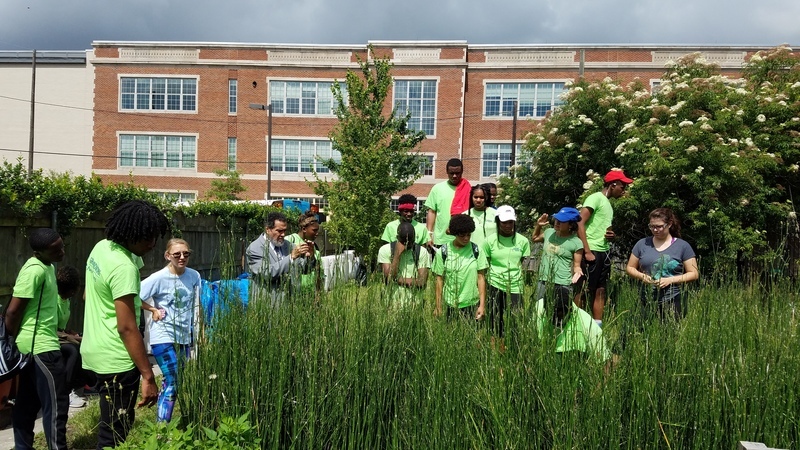 The first site was Groundwork's Earth Lab which includes a bioswale and groundwater storage tank that captures stormwater off of nearby warehouse sized roofs. 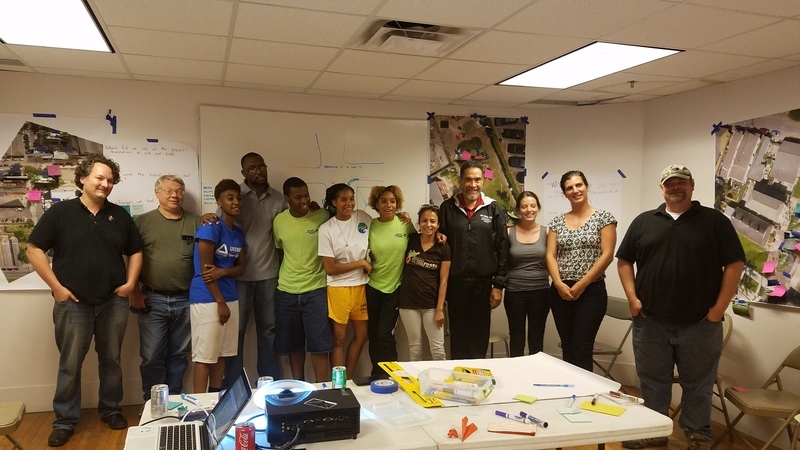 The second site was a street that has an incoming green development project with proposed construction beginning in September to deal specifically with stormwater issues. The third site was a flooding hot-spot just outside an elementary school. The series we ran included six events in total, with a month of monitoring in the middle. Below is a summary of each workshop with links to larger writeups about them. 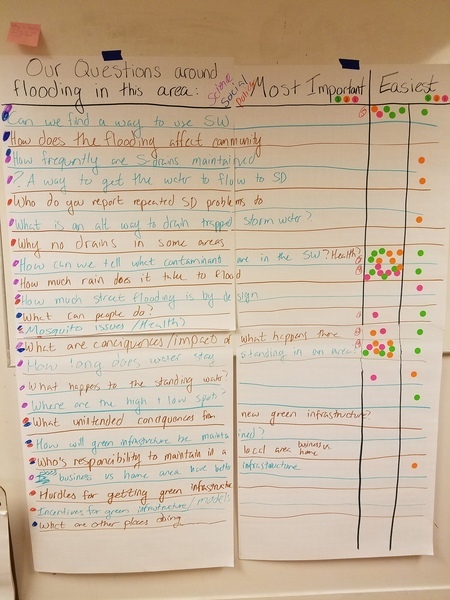 In the first event we got together with the goals of both learning about stormwater, and identifying the questions we wanted to to carry through the series. 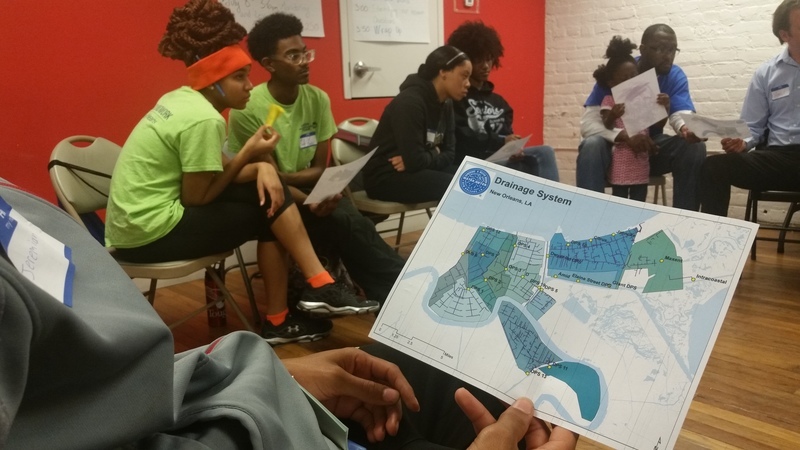 We spent time discussing what we know about stormwater on a personal level, and we heard from our friends at the New Orleans Sewerage and Water Board about the stormwater system in the city. After some learning, we went outside and did a visual survey of each of the sites. How long does water stay standing in an area? How much rain does it take to flood? This was closely followed by: How can we tell what contaminants are in the stormwater? 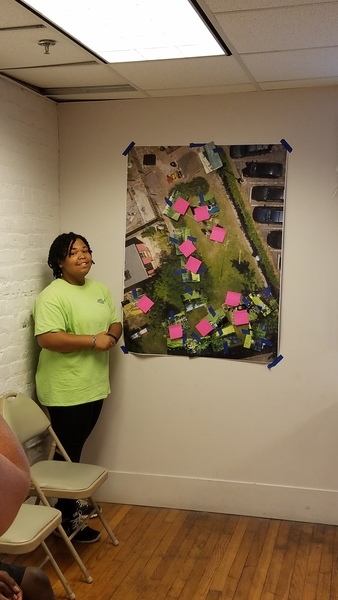 Tried and true, our second workshop was about capturing the bigger picture of what was going on on the ground at our project sites. 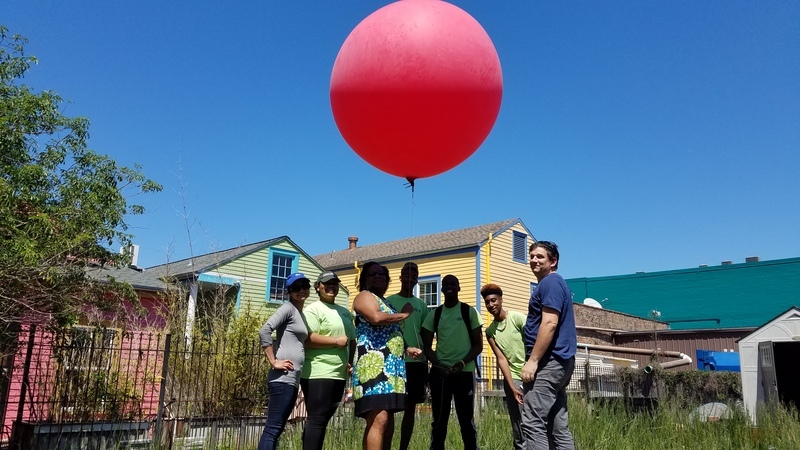 We used the Public Lab balloon and poles mapping techniques for this, as well as ground photos to gather a better understanding of our project sites. In workshop three, we annotated our maps from the second workshop with information and photos from around our sites. This helped us ground our knowledge of the sites. We then broke into groups and brainstormed all the resources, tools, and activities we could think of to help us answer our two research questions for each site. Those were "How long does water stay standing in an area?" and "How much rain does it take to flood?" We checked out methods people had used on Public Lab, and compiled all of our ideas for how to answer our questions on one big sheet of paper. Then we talked about the list together and picked the best and simplest combination that would help us get to the bottom of our research questions for each site. With our ideas in place, we pulled out what we would need to do, and how we wanted to do it so that in our next workshop, we had the resources and ability to set up our study. One of the things that came out of the last workshop was our interest in using different resource to see how we could best get to the bottom of our questions rather than picking one method for all three sites. We had gauge boards, rain gauges, and trail cameras to learn about and put up. We had site surveys to create, a photo repositories to build out and I See Change accounts to make! This workshop was all about getting us ready to start monitoring. The fifth workshop was actually added on last minute. We realized that because we were interested in different methods for monitoring the sites, we needed to be on the same page about how to get this done. In this workshop, we did a dry run of data collection, and over the course of the three weeks to follow, that's what we did every week day. In this last workshop, we celebrated with a Pizza Party. 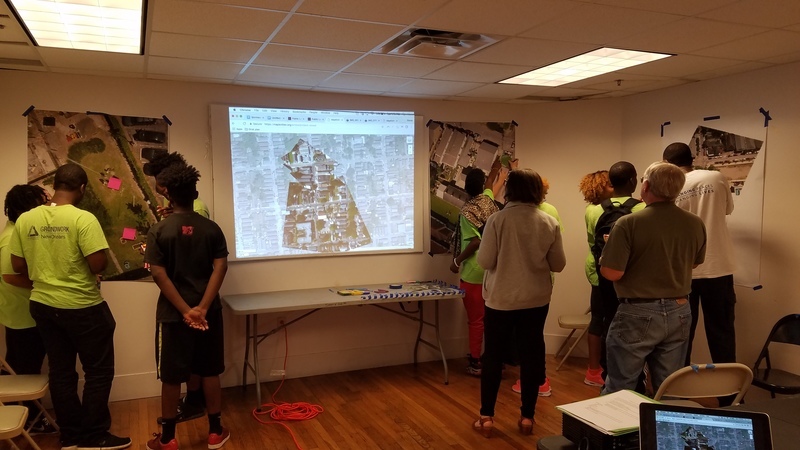 There was so much we had learned about monitoring, our questions, the sites, and about how to walk through this process from beginning to end. Going through all the data we had gathered, we spent time talking about what worked, and what was hard. Reflecting on the original research questions, it really felt like methods we developed help us answer the questions we asked different ways. With some tweaks, and some new ideas we have a few methods for monitoring stormwater built out. Finally, we explored new ideas and next steps. We'd be excited to continue on any of them given the opportunity. This workshop series was great. 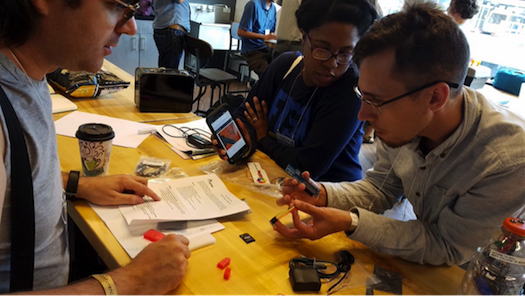 It embodied our local issues and questions, utilized the resources of the broader Public Lab community and beyond, and emphasised exploration, learning, and sharing. I was so encouraged by everything we pulled together, everything we were able to test out, and all the people who came to the table. Now, thanks to the work of everyone on this series, we have a wealth of knowledge to add about methods for monitoring stormwater. In true Public Lab form, our challenge back out to you is two fold. First, engage in our work: check out our activities and research notes, give us feedback and post questions for us to move forward with. Second, help us all learn more about what monitoring and exploration looks like in your backyard. We'd like to explore your new methods and ideas too.